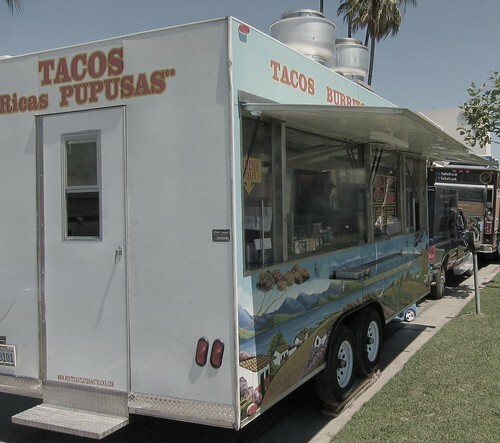 Amongst the Nouveau food trucks that park on Wilshire Blvd in Miracle Mile I saw what looked to be a traditional taco wagon. Upon further inspection it was a taco truck indeed serving up a menu of tacos, burritos,sopes, quesadillas, tortas and pupusas with pollo, carne asada and al pastor as the meat options. I ordered two asada and one al pastor and a bottle of Jarritos. My total came to $8. 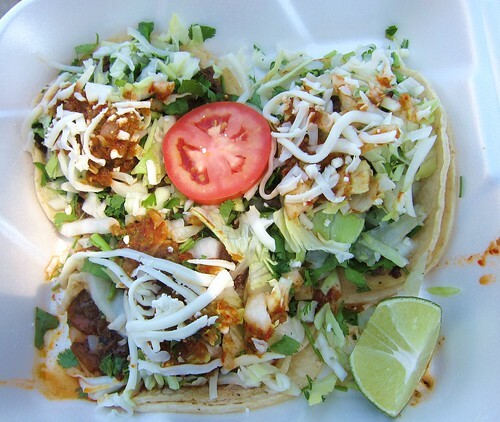 Dios Mio, taco truck tacos at gourmet truck prices. 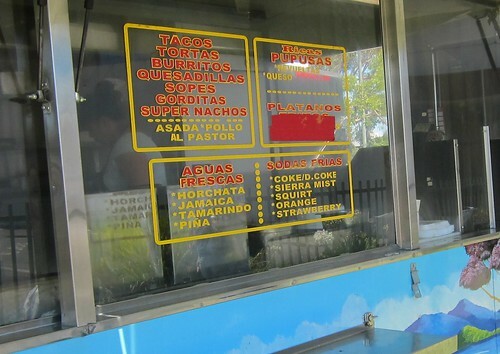 Your average traditional taco truck rarely prices their tacos over $1.25. But as the saying goes - location, location, location. 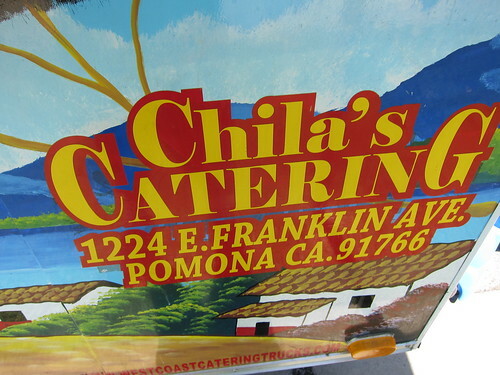 Chela’s can get away with the $2 taco price when all the local competitors have items priced well above that. The tacos came topped with lettuce, cabbage and grated cheese. Not what I prefer when it comes to tacos but I was pretty damn hungry so I dug in. The carne asada was actually very good but I couldn’t help but think if it wasn’t for the lettuce and cabbage that I would have enjoyed it a lot more. The salsa was sparse and mildly spiced. A little more salsa on each taco would have gone a long way to adding some extra flavor. 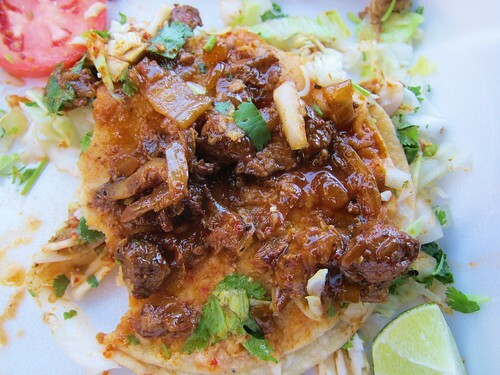 The al pastor was a little too salty and coated with a lot of marinade. The glaze on the pork was just too much and I was glad I ordered two asada and just the one al pastor. It reminded me more of pork adobada but poorly executed. 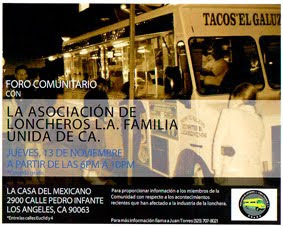 At most LA taco trucks $5 will get you three tacos and a bottle of Jarritos. Once you get into the $6, $7, $8 there has to be something unique about the taco to justify the price. I don't mind paying extra for a gourmet taco but I feel jipped paying twice as much as I normally would for a "street" taco.